Saanich East Real Estate | Shopping for a new home in Saanich East? 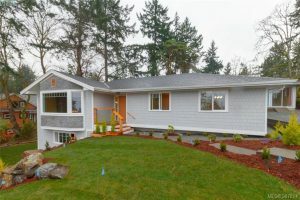 Buying a house in Saanich East? Day Team Realty is Victoria BC's most innovative real estate team. Darren Day, Personal Real Estate Corp.
MLS® property information is provided under copyright© by the Victoria Real Estate Board. The information is from sources deemed reliable, but should not be relied upon without independent verification. IDX information is provided exclusively for consumers' personal, non-commercial use and may not be used for any purpose other than to identify prospective properties consumers may be interested in purchasing. Information is deemed reliable but is not guaranteed accurate by the MLS or Day Team Realty. The trademarks REALTOR®, REALTORS® and the REALTOR® logo are controlled by The Canadian Real Estate Association (CREA) and identify real estate professionals who are members of CREA. Used under license.The trademarks MLS®, Multiple Listing Service® and the associated logos are owned by The Canadian Real Estate Association (CREA) and identify the quality of services provided by real estate professionals who are members of CREA. Used under license. Data last updated: 2019-04-23T11:22:05.333.